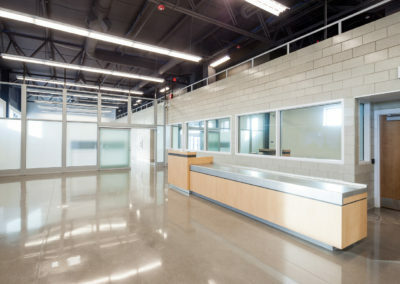 Crawford, Murphy & Tilly (CMT) worked with the Kansas City Aviation Department and Wellner Architects on the Tee Hangar Complex Rehabilitation at the Charles B. Wheeler Downtown Airport. 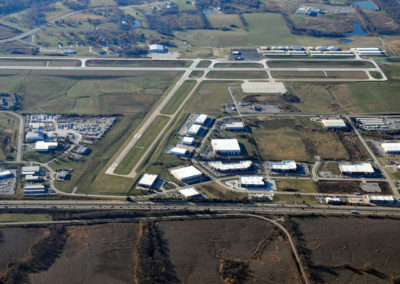 This $18.5 million project replaced the aging facility at this General Aviation airport with 96 new hangar spaces (replacing the 40 existing spaces) by maximizing the area available for development. 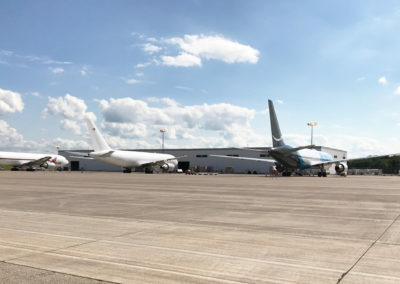 The 45-acre redevelopment project was phased so that new hangars would be available to the existing customers before the old hangars were torn down to make way for a second phase of construction. Extensive drainage structures and underground utilities were designed to fit into the constrained site. Due to past flooding issues, hydrologic modeling was performed to improve the drainage characteristics of this quadrant of the airport. Drainage structures were designed with wide and deep bases to counteract uplift and to meet ACOE requirements. To reduce waste and cost, demolished concrete pavement was reused as base material beneath new pavement areas. From a civil design perspective, this project represents how expert design solutions in constrained sites can assist in revitalizing an airport’s facilities, resulting in both economic and environmental benefits.